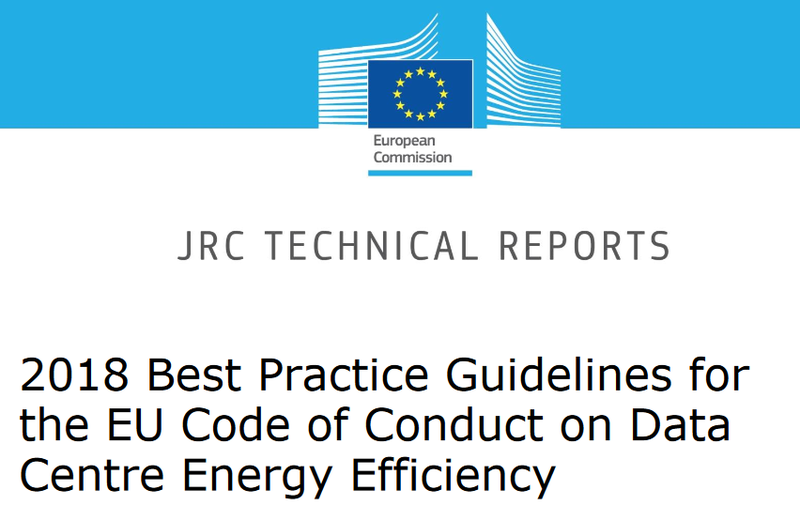 The EU Code of Conduct on Data Centres' Energy Efficiency is a voluntary initiative developed by the DG JRC (Joint Research Centre) in 2008 in response to increasing energy consumption in data centres and the need to reduce the related environmental, economic and energy supply security impacts. Its objective is to inform and stimulate data centre operators and owners to reduce energy consumption in a cost-effective manner without jeopardising the reliability and operational continuity of the services provided by data centres. In particular, it proposes general principles and practical actions to be followed by all parties involved in data centres, operating in the EU, to result in more efficient and economic use of energy. Parties signing up are expected to follow the intent of this Code of Conduct and abide by a set of agreed commitments. Participants that significantly reduce their energy consumption are eligible for the annual EU Data Centres Code of Conduct Awards.